Walter Isaacson’s The Innovators begins with Ada Lovelace, daughter of Lord Byron and one of the few women to appear in this book who isn’t an offstage wife. In the mid-19th century, Lovelace embarked on a study of mathematics to discipline her artist’s mind and attached herself to Charles Babbage, the inventor of the first computer. (Fashioned with big brass wheels, it could compute prime numbers and solve equations.) Inspired by the latest Jacquard looms, Lovelace suggested programming it with punch cards, thus vastly increasing its versatility. She also conceived of it as a device that could process music, patterns, poetry—in other words, much like the one many of us have in our pocket. Ultimately, their passionate, stormy partnership ended, and Babbage’s brass wheels were removed to dusty storehouses and attics, waiting for the world to catch up. The Innovators is a lightning round of the digital age, presenting invention after invention in mostly bite-size pieces. The stories are familiar, but combined they achieve a satisfying velocity. Isaacson’s central obsession is how to apportion credit for these miraculous helpmates, communications devices, and global networks. He investigates the cultures that incubated them and the tensions between the individual genius and the collaborative process. There’s a full clinical taxonomy of partnerships both pathological and close to perfect. (Bob Taylor on his partner on the proto-Internet, Larry Roberts: “Larry claims that he laid out the network himself, which is totally false. I feel sorry for him.” Roberts on Taylor: “I don’t know what to give him credit for other than hiring me.” A more functional pair: the egalitarian Robert Noyce’s alliance with the “constructive confrontation” of Andy Grove during the early days of Intel (INTC).) Isaacson swiftly parses everyone’s contributions, a judge gaveling through a heavy caseload, weighing pure insight vs. technological know-how vs. just showing up. In a way, the book is about the complex lines of force and influence in male friendships, the egging each other on and ranking each other out. Here, as in all of Isaacson’s books, there’s a sunny personal passion. He’s a winning MC. Each scientist gets a thumbnail: a childhood of hardship to be triumphed over; a determinative parent; a palette of hobbies; a space where he dreamed his dreams, attic or garage or lab or automobile. 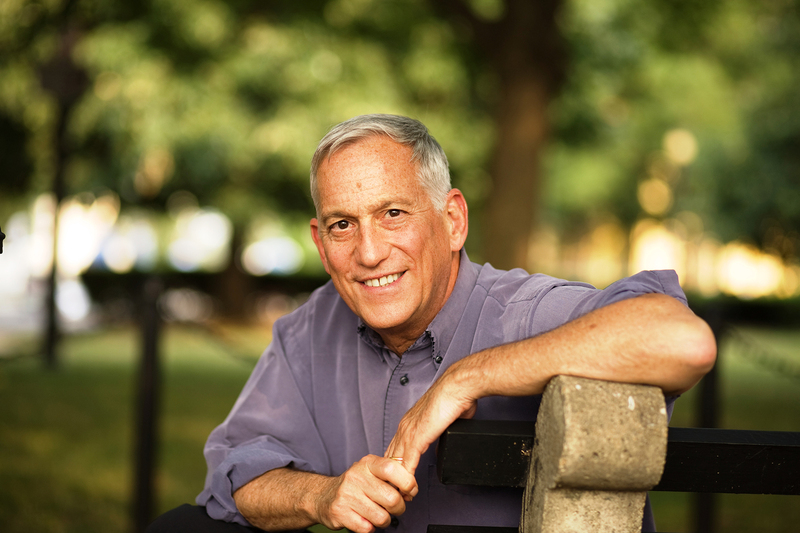 Isaacson’s nose is pressed to the glass of this drama—a necessary journalistic role—and, sharing their joy, he captures the primal satisfaction of solving problems together and changing the world. The Innovators is an appropriately modest title, because many of the problems solved seem tiny on their own: a different configuration of electrodes, putting a film on a silicon wafer. Much of this is home cooking, solving everyday puzzles with the tools at hand. Magic doesn’t look like magic when viewed with the proper resolution. The ends are also pretty ordinary—calculate artillery trajectories, or collaborate over long distances, or bounce a white dot across a screen and thus collect huge quantities of college students’ quarters. The story moves from science to the military to management, and the book is half over before the first lawsuit appears, after which they proliferate. The story also tends to travel from East to West. A subtheme is the overthrow of authoritarian chief executives and their besuited courtiers. The casualizing and revaluing of the business world by Silicon Valley cowboys is a founding myth of the tech industry, even as its CEOs grow ever more powerful. It was pioneered at Bell Labs, where football field-size halls, filled with brilliant people of different disciplines, allowed for creative muddling. Just add geniuses! Of course, there’s been a conscious aping of these cultures. The values of loners and drifters and individualists, along with foosball tables and Hacky Sack and wellness rooms and Reese’s Pieces, have been installed in the halls of most powerful and rapacious corporations in the world. And the collaborative principles devised by the likes of Noyce are now taught at Harvard and Stanford. They’re imbibed by youthful corporation kids with perfect SATs, for whom the science, while no doubt an authentic passion, is also a way station along the path to the Porsche. More and more, it seems eureka is foreplay for your IPO. The book is really about the Byronic age of tech superheroes, an era that seems to be closer to its end than its beginning. When William Shockley was overtaken by colleagues in the race to build the transistor, he got mad and then got even, creating his own supplanting innovation. But when two of the three founders of Snapchat tossed out the third—their Stanford frat brother, who’d had the flash of genius of disappearing texts—he got mad but finally settled. The tech mystery everyone now wants solved is: how much?